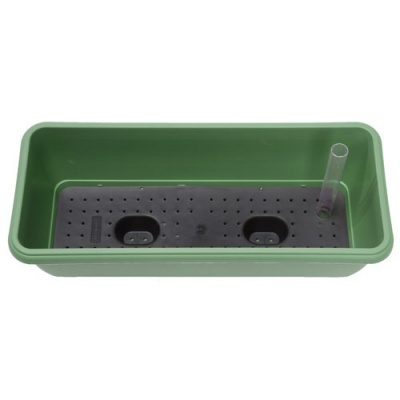 Stewart Garden 70cm Self Watering Balconniere Planter in Dark Green colour, features a unique self-watering system, consisting of a feeder tube and internal water reservoir. 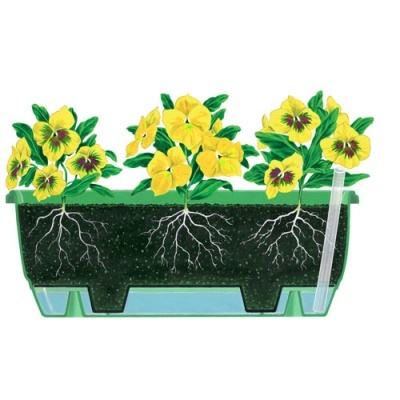 Designed to always keep plants sufficiently watered when plants require it most, especially during absence from the home. Balconniere outdoor trough planters are manufactured in the UK using high quality durable resin plastic, making these frost proof and weatherproof. Ensuring original colour is retained regardless of sunlight, these Balconniere planters are also UV resistant. 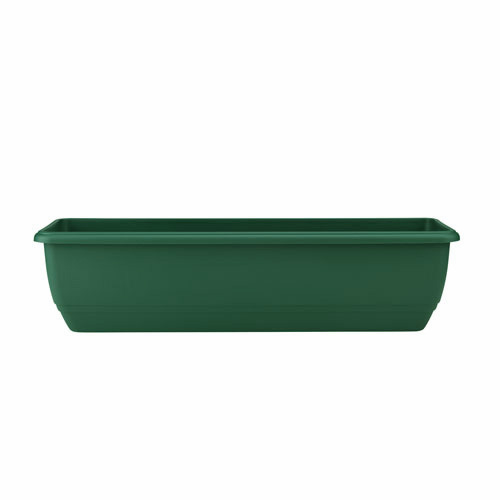 Balconniere troughs are well suited for direct planting of flowers, herbs or vegetable plants and placed on a balcony, patio or wall hung with Stewart balcony brackets (available separately).